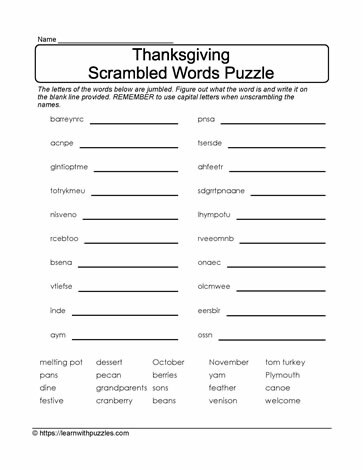 Unscramble the letters to reveal Thanksgiving words in this downloadable puzzle to print for classroom use. Remember to capitalize vocabulary as required. Also suitable for homeschooling students.